The future outlook for two of the leading diabetes brands in the country, LifeScan’s OneTouch and Animas Corporation Animas Insulin Pumps, who is owned by Johnson & Johnson, is undetermined as of the beginning of 2017. With mixed 4th quarter results in profits and revenue, Johnson & Johnson was looking into evaluating strategic options for the Animas Corporation. The leader is the Band-Aid brand as well as various prescription drugs, Johnson & Johnson is considering taking a different step in the restructure of their medical device line of products such as insulin pumps, test strips and blood glucose meters. They stated they are seeking a potential sale or a joint venture or the consideration of an operating partnership or even the sale of a business for brands like Animas Corp. and LifeScan to help bring about future market growth and maximize the value for shareholders. The company CEO Alex Gorsky spoke with analysts recently via a conference call and stated they are still very interested in the medical field of diabetes. However, they are going to focus on treatments such as bariatric surgery and the sale of their Invokana treatment for Type 2 diabetes. Early in 2016, Johnson & Johnson had planned to restructure their low performing medical device departments but their revenue within other parts of the company helped to ease the burden and keep them in the mix. Johnson & Johnson was the first healthcare company to report the results of their prescription medication prices after the increase and high price gouging received criticism from the new president’s administration. CEO Alex Gorsky stated the importance of pricing prescription medication responsibly. Both LifeScan and Animas Corporation have been making huge advancements by leaps and bounds when it comes to Diabetes Management and Treatment options. Both leading companies have been working to make managing type 1 or type 2 diabetes easier for their patients. The sale of the companies could potentially halt these advancements or increase their speed through which they bought to the public. This all depends on the buyer and how well informed into what managing diabetes, of both types is really like. Let’s take a look at the latest advancements that both companies are bringing to the table. 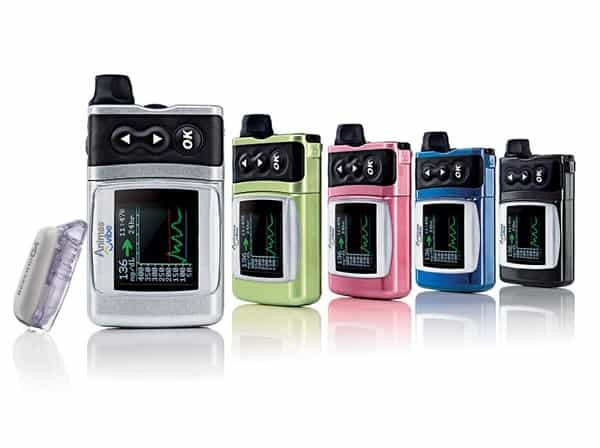 In 2014, Johnson & Johnson received FDA approval to expand the use of their integrated insulin pump and CGM system, The Animas OneTouch Vibe. The FDA approval allowed for children as young as the age of 2 years old to be able to use this system effectively. The biggest advantage to this approval is that the system was integrated with the Dexcom G4 CGM technology, which allows patients to monitor their blood sugar levels on their pump. The announcement of the possible sale of the Animas Corp brand came a month after Johnson & Johnson announced once again that this time they had achieved FDA approval for the Animas OneTouch Vibe Plus system. What is the difference between the Vibe and the Vibe Plus? The Dexcom G5 receives readings of blood glucose levels and sends them wirelessly to the patients Insulin Pump and their compatible smartphone or tablet. In addition, the G5 wireless Bluetooth technology allows for the glucose data to be shared with up to five different people using their Dexcom Follow Up. What does this mean exactly? The FDA provided clearance for the wireless integration of the Verio blood sugar monitoring system with the WellDoc Inc. diabetes management platform. BlueStar is working to help create a digital solution for those who live with Type 2 diabetes. 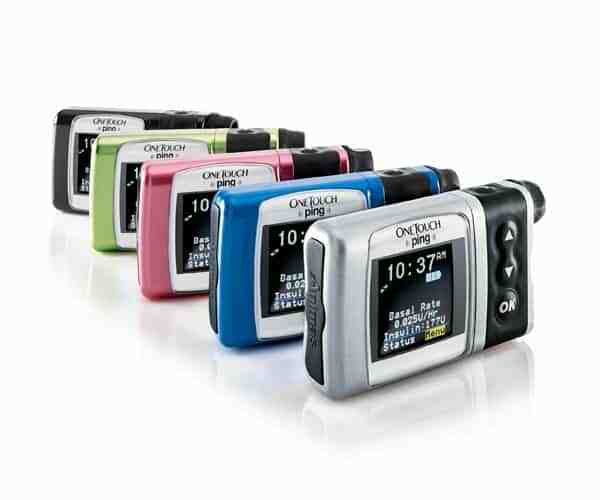 Using blood sugar data in a wireless environment, this valuable information can now be transmitted to the OneTouch Verio Flex system that features a built in Bluetooth device. The patented behavioral engine that is powering the Bluestar platform provides their patients with real-time feedback which is individualized to their needs to help provide them with appropriate management decisions. 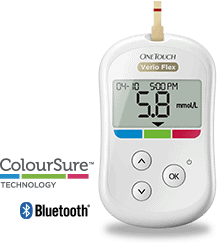 The OneTouch Verio Flex meter features the ColorSure technology that provides a simple and accurate way of removing the guesswork from diabetes management and blood sugar data. It also features the optional choice of wireless connectivity using the OneTouch Reveal application for mobile phones to provide patients a better way to manage their diabetes. WellDoc’s platform from BlueStar offers a digital way for those with type 2 diabetes to keep up to date with how well their current treatment regimens are going. In December of 2005, Johnson & Johnson and Animas Corporation announced they had come to a definitive agreement where the Animas Corporation was then acquired for a Cash-for-stock merger type of transaction. They were anticipated to operate their business as a stand-alone one reporting through the business of LifeScan Inc. This merger and acquisition allowed LifeScan the ability to get into the insulin pump market immediately. The terms of this previous agreement allocated the Animas stockholders to get 424.50 for each of their Animas shares. It’s understandable that the phrase “the sale of a business” sounds frightening to say the least. But it’s important to remember that Johnson & Johnson are still looking at other ways they can restructure their role in these medical device companies. They have stated that these options might include forming new operation and business partnerships, introducing new joint ventures, or reforming strategic alliances as well as other alternatives they are currently considering. If you are a current OneTouch or Anima’s user, it’s vital that you keep up to date with the most current information about both companies and their subsidiary Johnson & Johnson. The 1st quarter business report and revenue report should be available shortly for the company which could provide them with additional financial information on which path they should continue down with their leading diabetes companies. It’s safe to say with the reputation both Diabetes Giants have in the treatment and management of both Type 1 and Type 2 diabetes that any restructuring in a way that prevents the companies from continuing on with their goals of providing patients with the most advanced treatment and management options could be a heavy blow to many people with diabetes around the world. While not much more is known about the future of both Animas and LifeScan, we can only speculate that the future of these companies should remain intact, given their history and success in the diabetes healthcare market. When any more information becomes available about Johnson & Johnson’s plans for both companies, we will update you all.